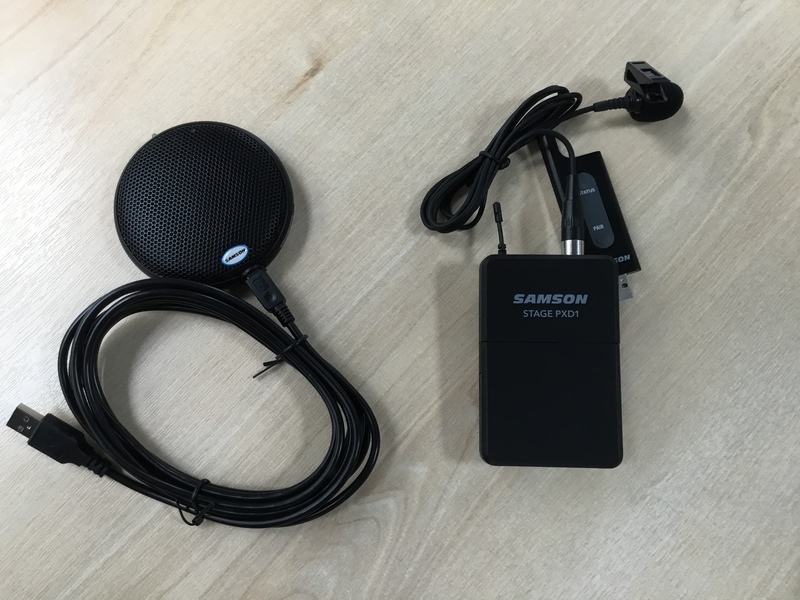 Portable recording kits consist of a webcam & tripod, and a choice of a wireless or boundary microphone. These connect to the teaching computer USB ports so that Panopto can be used in any classroom. Portable kits are collected from the Library Helpdesks and can be booked using the AV Equipment Booking Form for your campus. 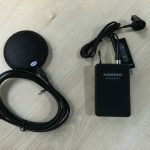 Wireless microphones attach to clothing and are more suited to larger classrooms or where the speaker is required to move around the room. Boundary microphones are placed on the lectern are designed for speakers who remain in close proximity during the class. It may be sufficient to record the screen activity and the speakers voice and so a webcam is optional. 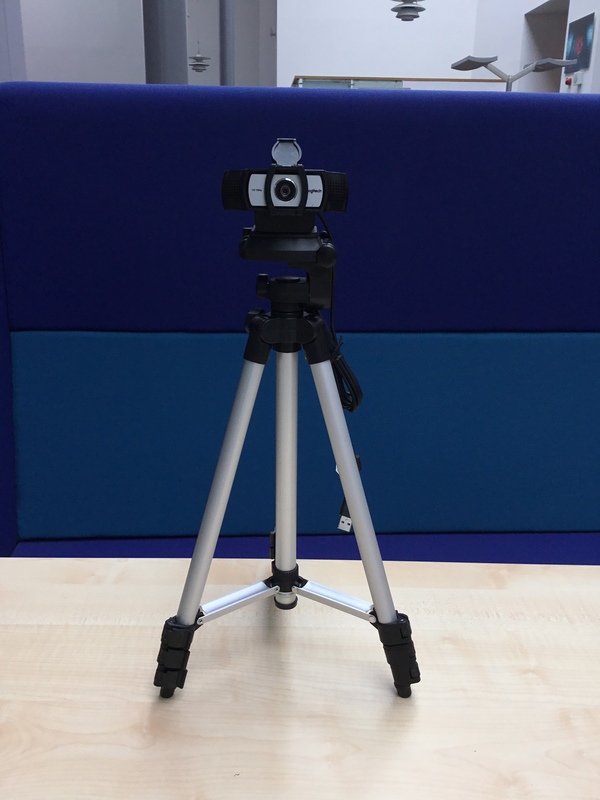 However recording the speaker’s facial expressions can help students understand accents, and webcams are also useful for recording additional input streams such as standard whiteboards. 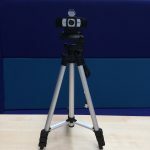 The tripods can be placed on the lectern or on the floor when the legs are extended, but the range is limited by the USB cable length. The following classrooms and lecture theatres are undergoing a refit of lecterns, data projectors, document cameras, as well as fixed cameras and microphones required for recording purposes. The refit is taking place on a rolling basis with classrooms becoming ready during trimester 1. Sighthill classrooms: 2.D.04, 2.D.05, 2.D.14, 3.D.04, 3.D.15 and lecture theatres 1.D.02, 1.D.04/05.